The Official Teaser of Samsung Galaxy Note 8 is Out! Samsung has increased the excitement by unveiling the official teaser of Samsung Galaxy Note 8, that too ahead of 23 August. The company also displays ‘Do Bigger Things’ in the beginning of the video. Finally! The wait for having a curious glimpse of real Samsung Galaxy Note 8 has come to an end as the official teaser of the smartphone has rolled out. 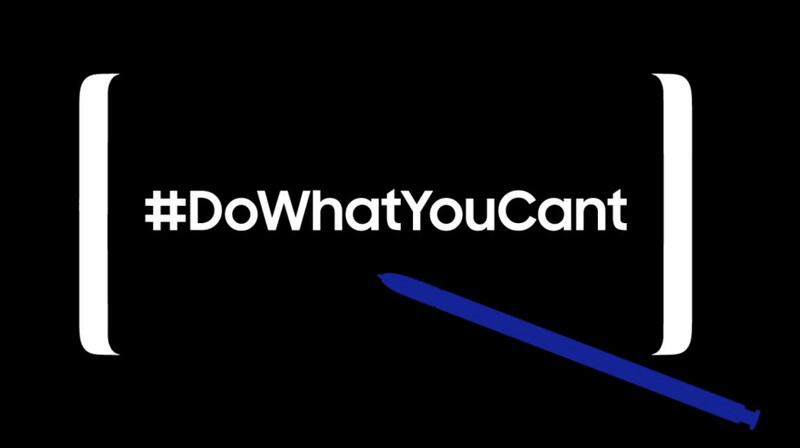 Working on its forte, Samsung has kept a larger display coupled with a unique hashtag #DoWhatYouCant. However, the mystery behind this inspirational hashtag is yet to be found. The pre-booking for Galaxy Note 8 cases had begun on Mobile Fun in the first week of July. Did you get one for yourself? With 6GB RAM, 64GB internal storage space and a microSD card slot, 6.3-inch Infinity Display, 3300mAh battery, and a dual camera setup of 12MP + 8MP, the tablet will get launched in the limited markets by September 2017. However, there are leaks that Galaxy Note 8 with 256GB variant will get launched soon arrive in South Korea. In the video, you’ll find that Galaxy S-Pen crosses out a set of words on Galaxy Note 8’s surface. So far, nothing has been revealed about its specs or design. And the way S-Pen has dominated the screen throughout, we can expect that it will be the main highlight of this upcoming phone. Samsung has innovated the concept of S-Pen for this model, and there are rumors that it will introduce some new software functions too. As per the renders published in the previous weeks, the US model of Galaxy Note 8 will be processed with Snapdragon 835 chip. For the international versions, it will bear Exynos 8895 processor. The US residents can get a chance to lay hands on this gadget anytime this month. Samsung Galaxy Note 8 can be the costliest smartphone ever launched by the company. But it’s worth to spend some for enjoying its luxurious features in the long-run. The company will announce the release of Galaxy Note 8 on 23 August in New York.